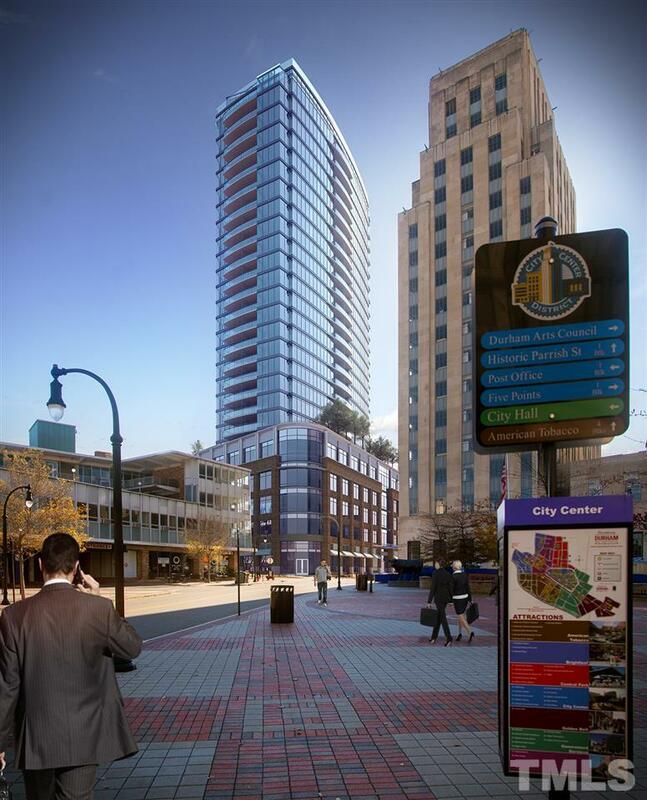 Pre-sale opportunities available for Durhamâs first luxury high-rise condo building. Breathtaking views from floor to ceiling glass are paired with exceptional interior finishes. Here youâll enjoy first class selections such as SS appliances, Kohler fixtures and quartz countertops. The upscale feel extends to the amenities which include fitness center, outside patio, dog park, and rooftop pool, deck and club room with catering kitchen. Each residence comes with convenient underground parking.